You’re only going to get them one time in several thousand hands, and when you do there are only two hands that can beat them, so folding quads seems like a very unlikely occurrence in any event. But it happens – and here’s how the pros have found a fold with one of the strongest hands in poker! The ultimate cooler indeed, but take a look now at how some players manage to get away from their big, beautiful hands…the top 3 follow, you pick your favorite quads fold! It was a $1milllion buy-in (!!) event at the 2012 WSOP, and Russian cash-game king Mikhail Smirnov found himself with 8♥ 8♦ in the small blind calling a raise from Tom Dwan. The big blind, John Morgan, also called. According to Smirnov, the action started with Tom Dwan opening to 32,000. Smirnov called from the small blind and businessman John Morgan called from the big blind. The flop came J♠ 8♣ 7♠ - very nice for Smirnov, but scary too, but he bet out 50k into the 100k or so pot, only to see a quick call from Morgan, and a fold from ‘durrrr’. The turn fell 8♠ giving the Russian quads, so he made a pot-sized bet of 200,000, which again Morgan called instantly. When the K♠ hit the river, Smirnov over-bet the pot only to see Morgan fairly quickly shove! Smirnov, facing an all-in for his tournament life, folded his quad 8’s face-up, to the astonishment of everyone at the table and those watching. Smirnov put Morgan on exactly 10♠ 9♠ for the straight flush, and folded quickly, although many couldn’t quite do the same. 2. The spades have it again! 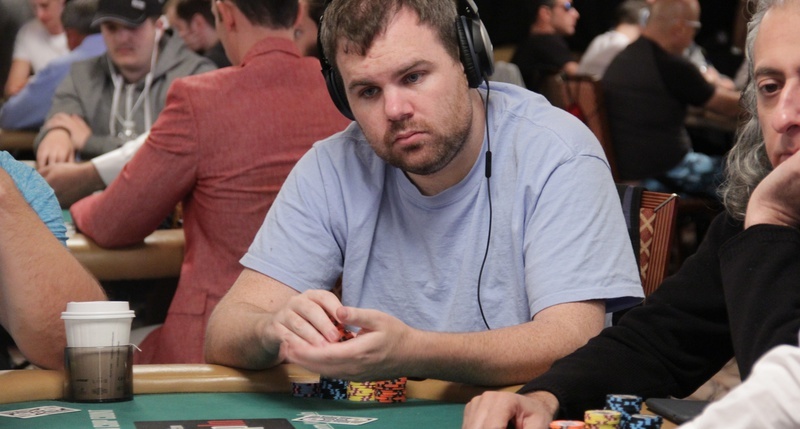 This year saw a similarly ‘crazy’ fold, this time debut bracelet winner Kyle Bowker laying down the quads in the Main Event when faced with a nasty river card and bet. But could you have done the same? Bowker had just seen his pocket 7’s hit the flop and then the turn with the board reading K♠ 9♠ 7 x 7x J♠. What beats him? Only the exact holding of Q♠ 10♠ and according to Tim Reilly and other players at Bowker’s table, he folded the hand after having the clock called on him, Reilly also stating that there were only two bets on the river. AllenKessler@WSOP I don't want to live in a world where this is correct. And I'm a bigger nit than you. How about occasions where you might consider folding the quads on a slightly scary board but have the balls not to? Who better to ask than Phil Ivey – a man who can spot an opponent’s real holding from a mile away! 3. Ivey doesn’t believe in hearts! The commentators described Phil’s hand as having gone from “rags, to trip, to full house to quads!” Perner checked the river and Phil bet out 80% of the pot. But wait, the 9♥ 10♥ beats him? Why so confident? Phil has been paying attention the whole hand – the donk bet doesn’t fit a drawing hand, the river check doesn’t make sense unless he knows Phil will bet – and it’s a big ask to put those together and add in the probability of that one single hand being in Perner’s corner. So, what happens? Perner just calls, somehow thinking his 2 pair might be good. Of course, shoving all-in is the only test of Ivey here, but I don’t doubt he would instacall – the hand played out a bit differently from the previous two and Ivey could never find a fold of quads here!